In Zakopane you can buy “ciupaga”, in Krakow Wawel dragon figurine, on Baltic Sea ​​amber jewelry while in Swiss Mürren - gadgets from the movie about James Bond. Mürren is a popular town in Switzerland, which is the highest, permanently inhabited settlement in the canton of Bern. It’s located at an altitude of 1650 meters above sea level, above the Lauterbrunnen valley. Both in the resort and its surroundings you can spend time on practicing different kinds of sports, beginning with winter sports, such as skiing and snowboarding, ice hockey or skating, ending with squash at the sports hall, curling or swimming in the pool. In Mürren tourists have the opportunity spend holidays in the beautiful mountain scenery, surrounded by the peaks of Eiger, Mönch and Jungfrau. 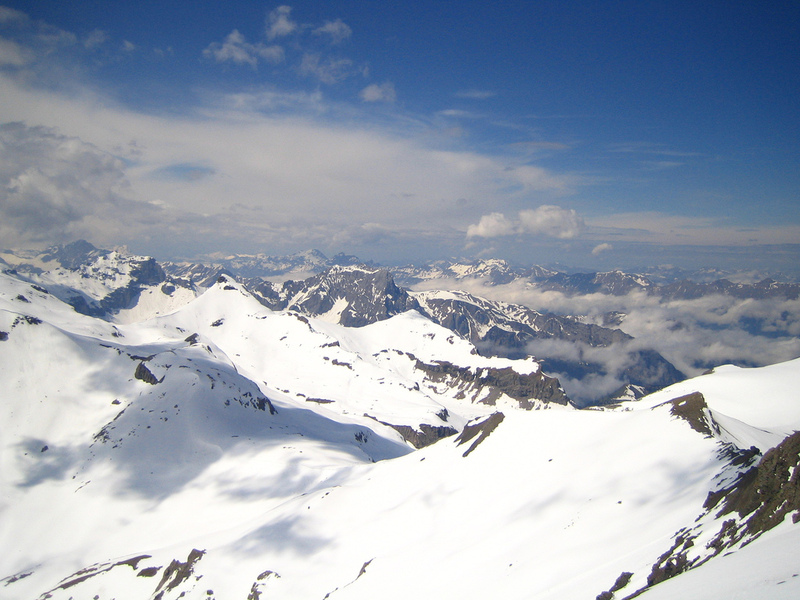 In winter the region tempts skiers from all over Europe, while in the summer - enthusiasts of long hiking. Clean air, excellent climate and great fun here is guaranteed. Schilthorn is the highest peak in the Bernese Alps. 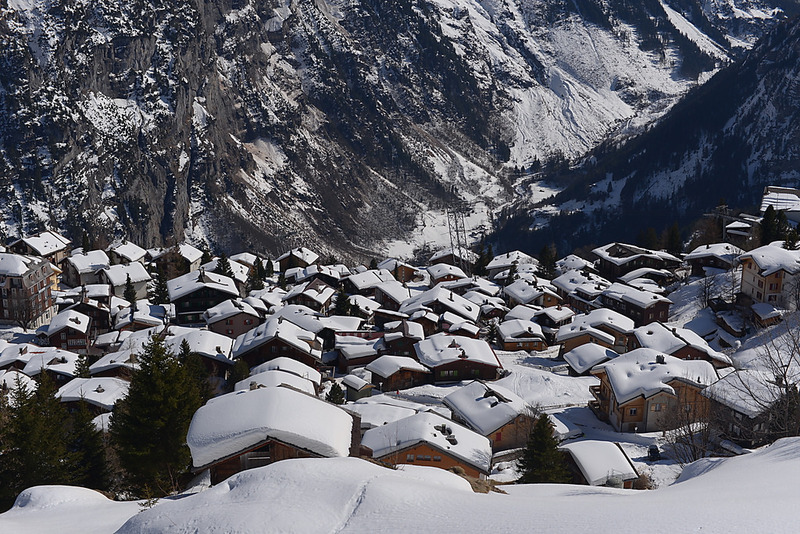 From Mürren you can get to it by a cable car, you can also reach the place on foot. 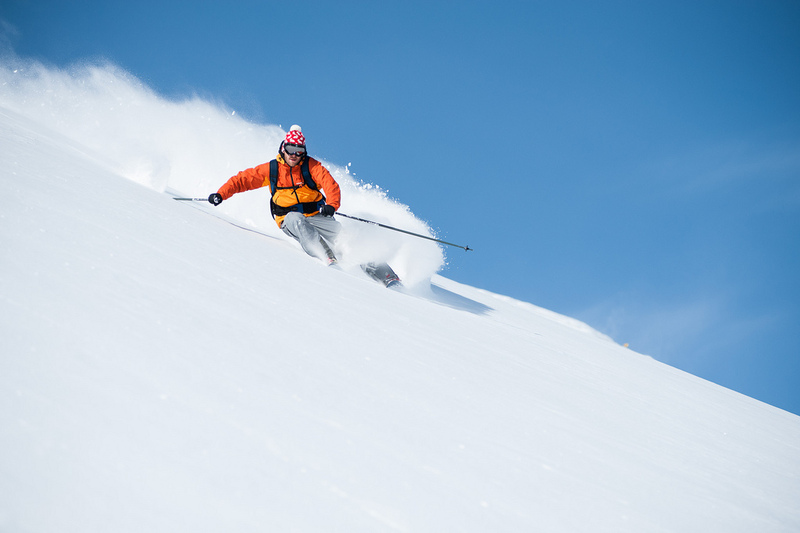 In winter, advanced skiers can use the black route and ski down right to the resort. 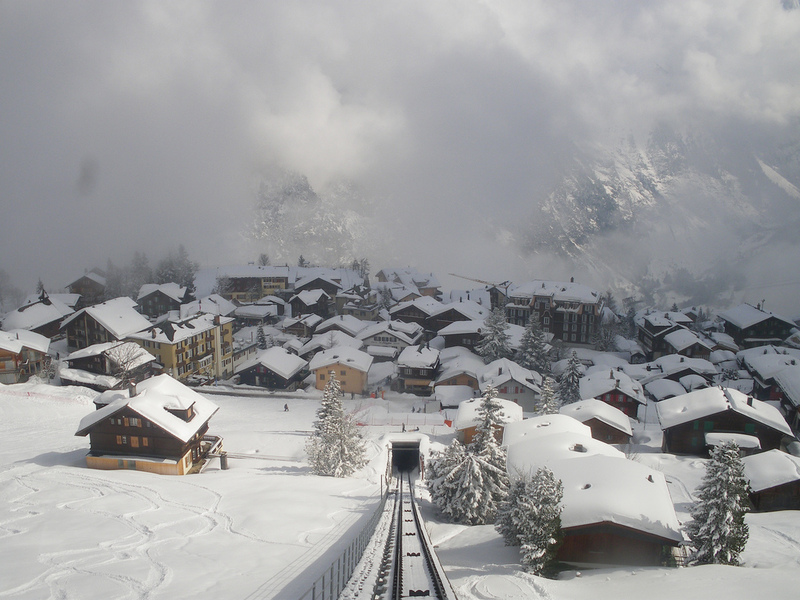 Mürren-Schilthorn area offers everything you could wish for during winter - modern lifts, well-groomed routes, long and steep slopes and spectacular views. They can enjoy over 20 km of blue, 24 km red and 10 km of black routes. The skiers have at their disposal 16 lifts. Particularly tempting offer was prepared for families with children. 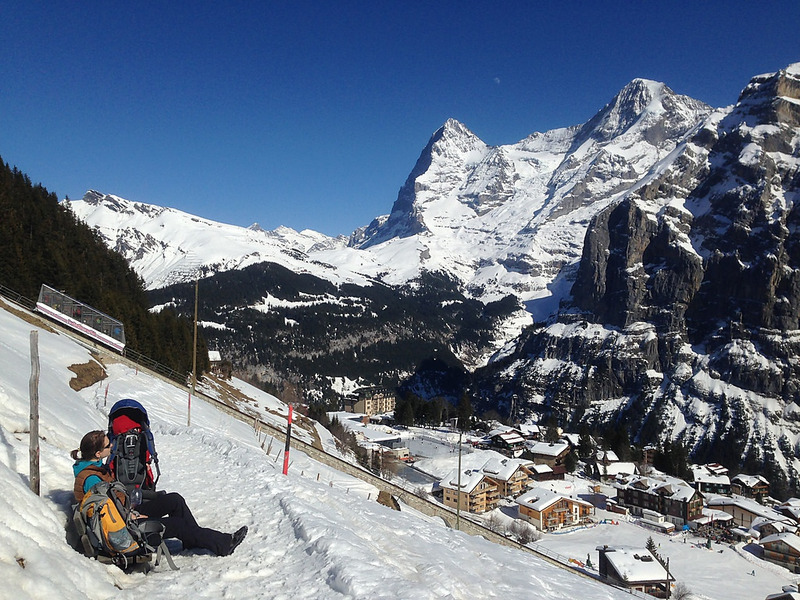 Among other things, the little ones can rent ski equipment for free in one of the points in Mürren or Lauterbrunnen. Besides, in the winter season on every Saturday youth under the age of 16 can ride on the slopes for free. 1-day ski pass for an adult costs 63 CHF (60 EUR), for a child - 50 CHF (47 EUR). Daredevils, who love extreme ride on one or two skis and who want to test their skills on a number of the rails won’t even leave the fun park "Im Rad". Cross-country skiers will be delighted with scenic routes (20 km), sledders will enjoy the attractions of the area as well. One of the attractions of Mürren, directed primarily to fans of the series about Agent 007, is the menu of Piz Gloria, a revolving restaurant at the top of Schilthorn. Between 8.00 and 10.30 it serves a Classic James Bond 007 Breakfast Buffet. But would Bond actually try muesli, sausages or fried bacon? Hm... We don’t have the ability to start the day with a shaken, not stirred martini with vodka – to a typical Bond’s breakfast you can only have a non-alcoholic beverage like Rimus or Prosecco. Well, "On Her Majesty's Secret Service" was filmed over 40 years ago, since then a lot has changed. Prices of Bond’s menu range between 14.50 CHF (13,50 EUR) per dish for a child aged 7-12 years, and 27.50 CHF (25 EUR) for adults. Babies under 6 years of age eat breakfast for free. After a day on the slopes a nice fondue in the revolving restaurant will warm us up, we can also rest in one of the three bars Après Ski. And then you can relax in the hotel, guest house or at the campsite, for example, in Camping Jungfrau. It’s located in Lauterbrunnen, and offers guests accommodation in the price of 11.90 CHF (11.20 EUR). Position for a motorhome costs 24 CHF (22 EUR) per day. You can take your pets here (3 CHF/2,80 EUR)). There’s also possibility to rent a motorhome, but the costs range between 100-120 CHF/day (93-113 EUR). You have to stay min. 2 nights. In Mürren you can not only eat the breakfast like a hero from Ian Fleming series, but also buy that kind of souvenir. People that aren’t necessarily 007 fans can go to Interlaken. As befits a big city, it has dozens of shops, in which - in contrast to the relatively modest offer in Mürren - shoppers can rung among boutiques to their hearts’ content.